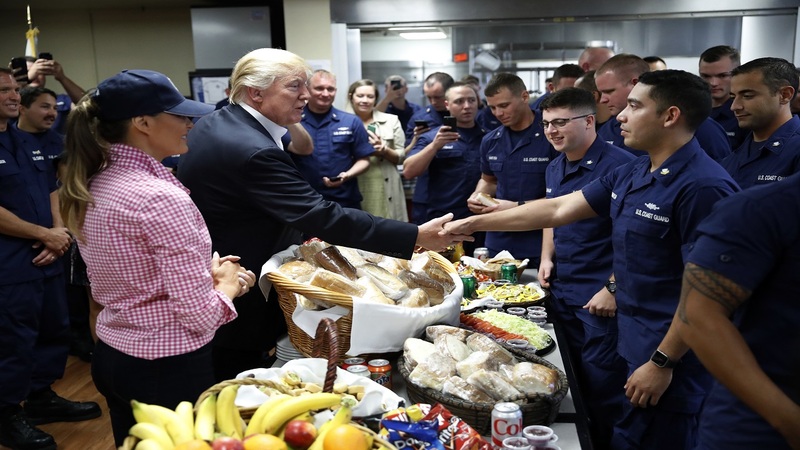 President Donald Trump, with first lady Melania Trump, greets and hands out sandwiches to members of the U.S. Coast Guard, at the Lake Worth Inlet Station, on Thanksgiving, Thursday, Nov. 23, 2017, in Riviera Beach, Fla.
President Donald Trump thanked U.S. troops for their service on Thursday, assuring them "we're really winning" against America's foes as he celebrated Thanksgiving at his private club and provided lunch for Coast Guard men and women on duty for the holiday. Using the occasion to talk up his own leadership, Trump told military members via a video conference that they've achieved more progress in Afghanistan and against the Islamic State group under his watch than had been made in years of the previous administration,. "We're being talked about again as an armed forces — we're really winning," he told the 1st Brigade Combat Team of the 82nd Airborne Division, whose members are conducting operations in Kandahar, Afghanistan. "Everybody's talking about the progress you've made in the last few months since I opened it up." Trump said: "We're not fighting anymore to just walk around, we're fighting to win." He said the Obama administration didn't allow soldiers on the ground to do their jobs. "We're very, very proud of you," Trump said, hailing the troops as "very, very special people" to him and everyone else in the country. Trump and his wife, Melania, provided turkey sandwiches, giant muffins, heaping baskets of fruit, chips and cookies at the Coast Guard station, where he singled out the service for its hurricane relief. 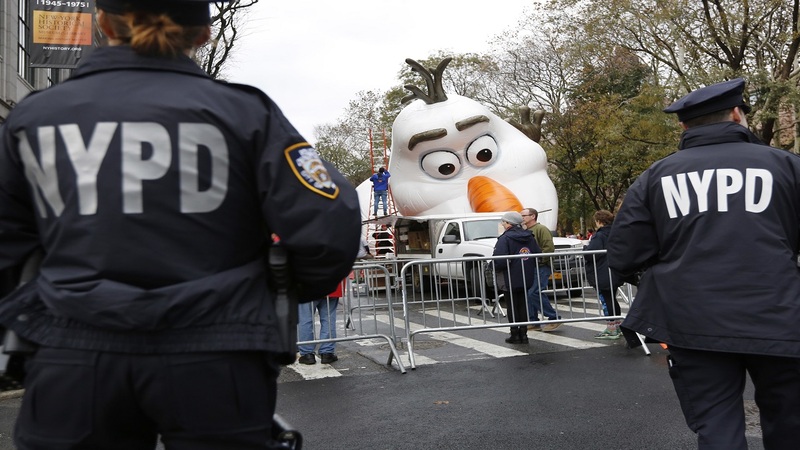 "There's no brand that went up more than the Coast Guard," he said. "What a job you've done." At the earlier video conference, Trump cleared the room of press after about 10 minutes so he could have "very confidential, personal conversations" with those on the line. Borrowing a line from his "Apprentice" days, he told the reporters "You're fired," and wished them a happy Thanksgiving, too.